It was to be no easy task to improve upon the frame that has taken the champions of both Sky and Movistar to numerous victories, seen Wiggins pedal into yellow and move the world champion sprinter Mark Cavendish to claim, "this frame is perfect" after his first ride aboard the Dogma 2. 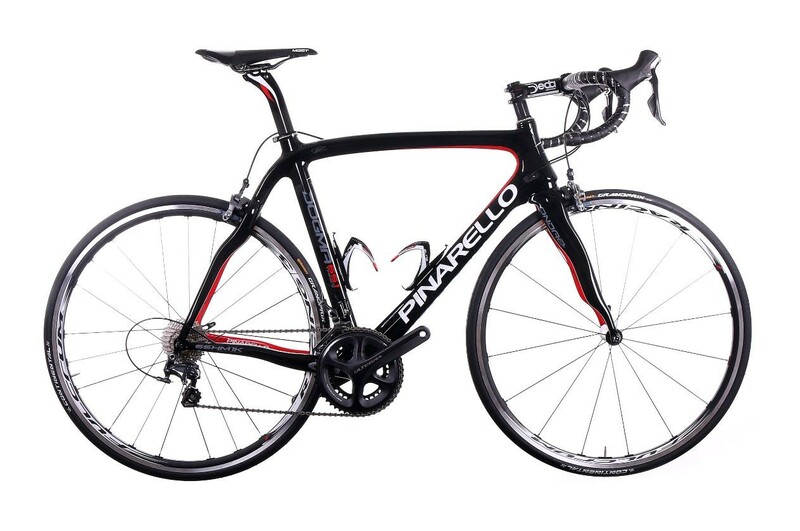 To better a frame that had already been awarded such praise, Pinarello's engineers asked their partners Toray for collaboration in improving an industry leading 60HM1K carbon fiber. The fruit of the combined efforts is the completely new and exclusive 65Ton HM 1K carbon fiber that is stronger, more rigid and more resistant than any previous variety. This new frame will be more rigid, more reactive and even better prepared for the rigors of professional cycling. Additionally, with the increasing importance of electronic groupsets, the Pinarello Lab has worked diligently to produce a frame that is built for both mechanical and electronic transmissions. The new Pinarello Dogma 65.1 Think 2 is designed for perfect integration for electronic groups with internal cable routing designed specifically for their particular cable widths both for Campagnolo and Shimano systems.